Okay, so I cannot lie, I’ve heard of RSS feeds many times before. I’ve seen the icon million times and simply thought, “Why do I need that? I just go to the sites whenever I want news.” Pretty shortsighted, I know. I guess that is why we are calling them “feeds” for this purpose and rightfully so, it sounds user-friendly and accessible! So other than organizing my virtual life and figuring out that they are awesome, what else have feeds taught me? Well, for one thing they taught me that my peers in ICM 501 are pretty engaging folks. While we all have at least one common interest (that being the course), I really enjoy having my feed organize all of the blogs to better keep up with everyone’s happenings in the course. With that said, what “outsider” blogs am I subscribed to? One of the first blogs I have followed (even non-feed) is You The Designer. The site provides everything from Photoshop tutorials to design freebies for blogs (I may or may not have been inspired here). I have even been motivated to go out and buy some movie posters I forgot or didn’t know were awesome. I also like how the site does not post that often, so when they do, I usually take the time to read. 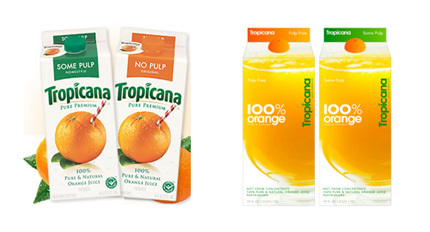 So, Pepsi throws back, Walmart, Stop & Shop and Kraft Foods change their logos while Tropicana changes their logo drastically enough that they had to change back (as customers were confused last year). Of course, these branding fun facts won’t interest all of you, but they do hold my attention. My point is to make the feeds your own (oh and help you multi-task more efficiently). Just another example on how we no longer have to seek out the news as much as the news (we want) seeks out us. I am live and tweeting, so feel free to follow me @JonBlogetery or just click the little birdie at the top of the page! I really enjoyed your post. 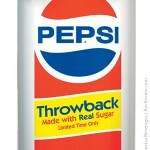 It was a great idea to add the Pepsi can, RSS logo and Tropicana containers. I think the use of color and items is appealing to the eye. It catches the audience attention faster than a dry black and white wall. I have loved using bright colors for a long time. Logos and colors have always worked for me as well, I will buy something even if I do not have an immediate or any need for it. Thanks for the feedback, glad you enjoyed it. Truth be told, I use the blogs on my RSS feeds for inspiration. 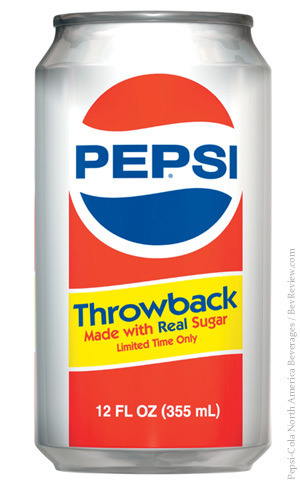 Yes, I tend to purchase some aesthetically pleasing items on a whim too (coincidentally, the throwback Pepsi tastes worse than the regular Pepsi, I guess they threw back to the original formula too). I actually posted about the new look of web designs for this year on my post yesterday. I guess you can say I was inspired after reading yours yesterday. I also read Smashmagazine. They had something on the design change for 2010. Take a look at my post and let me know if you agree with their predictions. Thanks for the inspiration! Also, how did you get the RSS feed logo on your page. I tried and could not get it..I a newbie at this. Thanks!